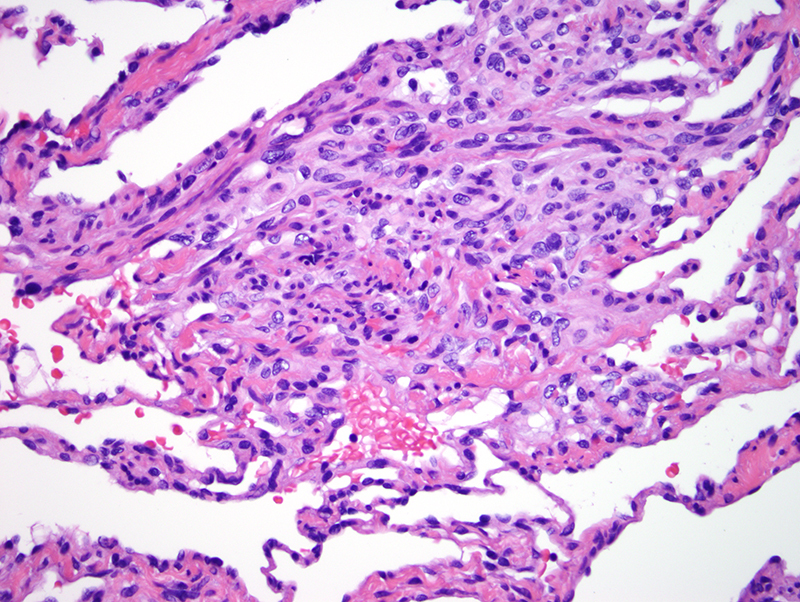 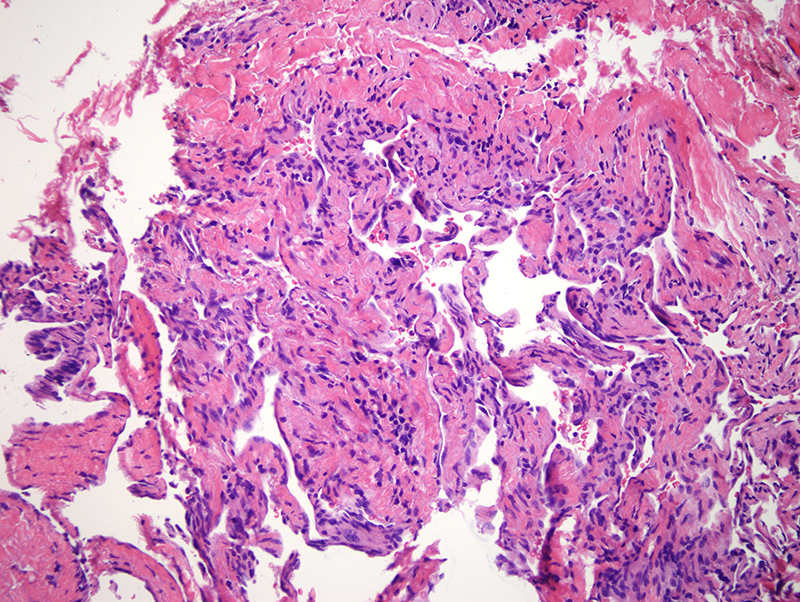 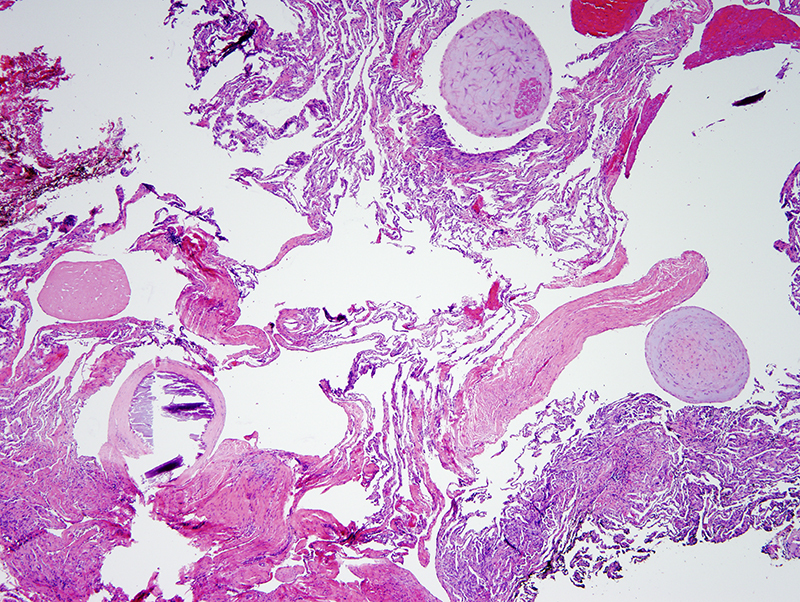 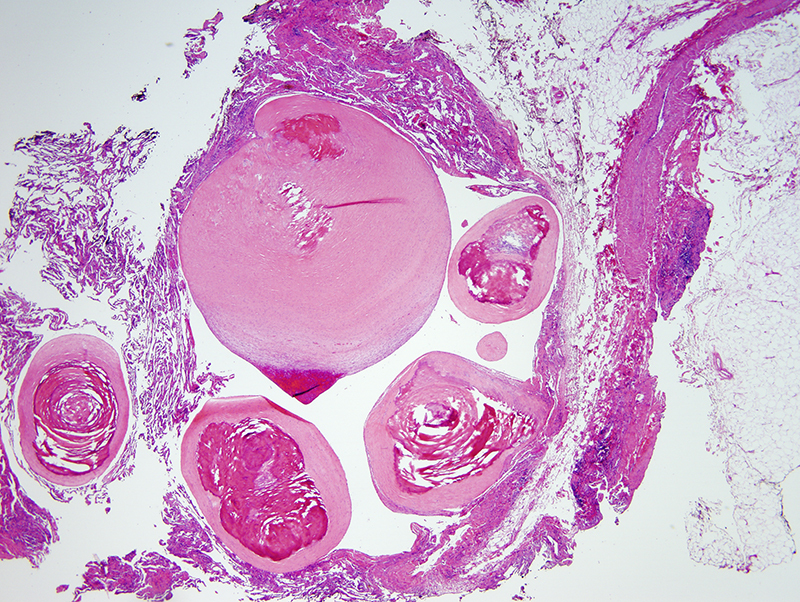 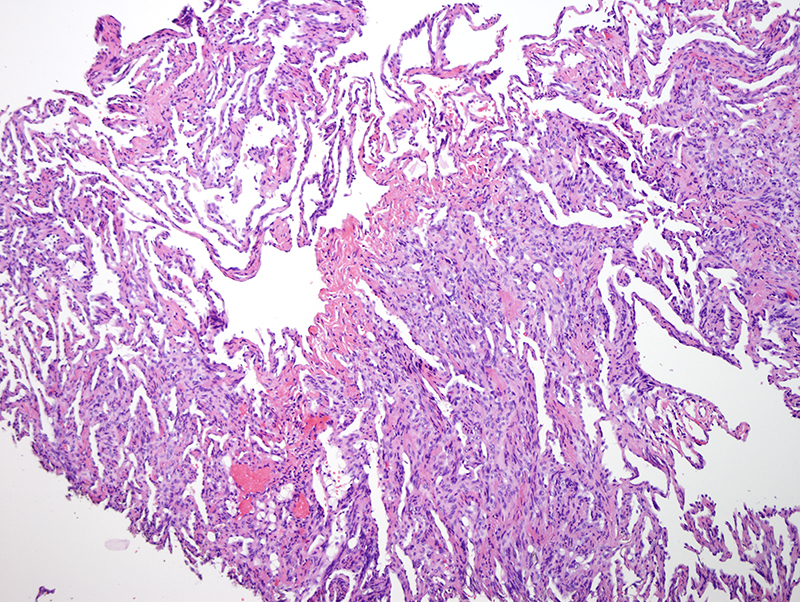 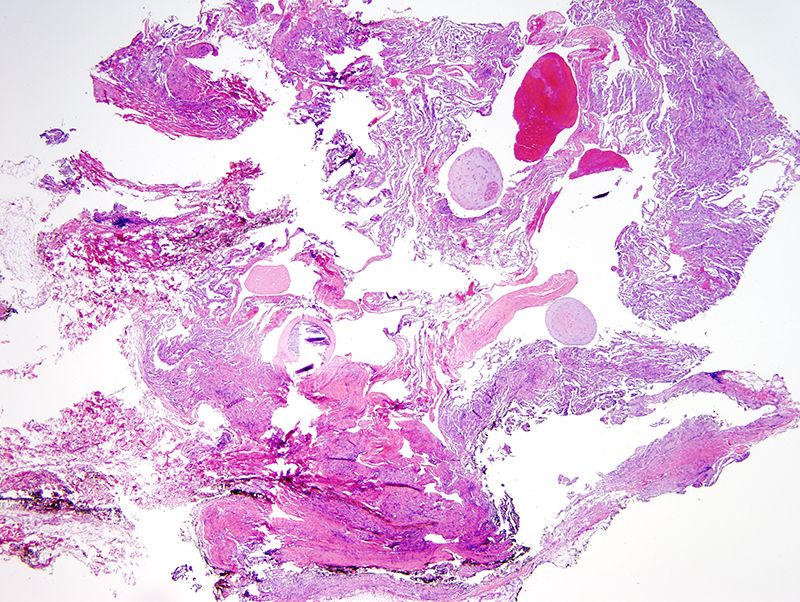 Retiform hemangioendothelioma typically presents in adults as an ill-defined plaque of the distal extremities, although involvement of other areas of the body has been reported. 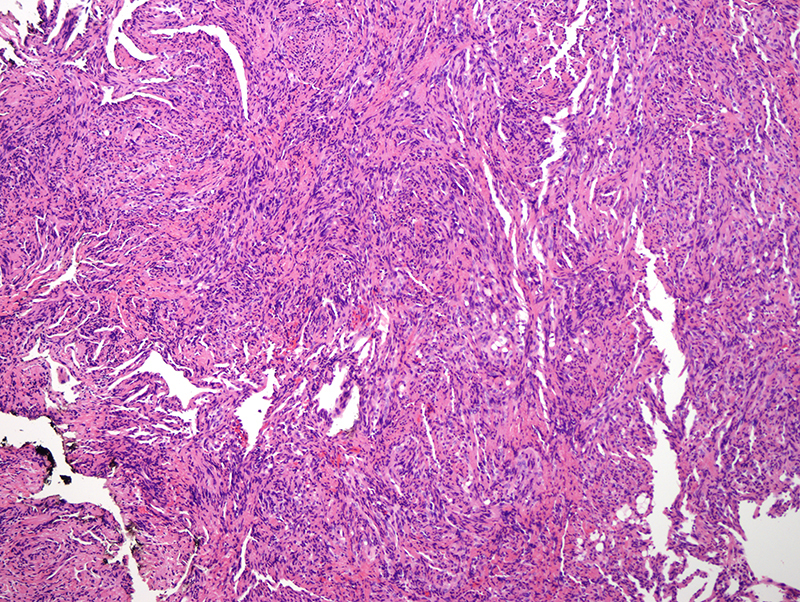 The tumor consists of elongated vessels involving the dermis and extending into subcutaneous tissue. 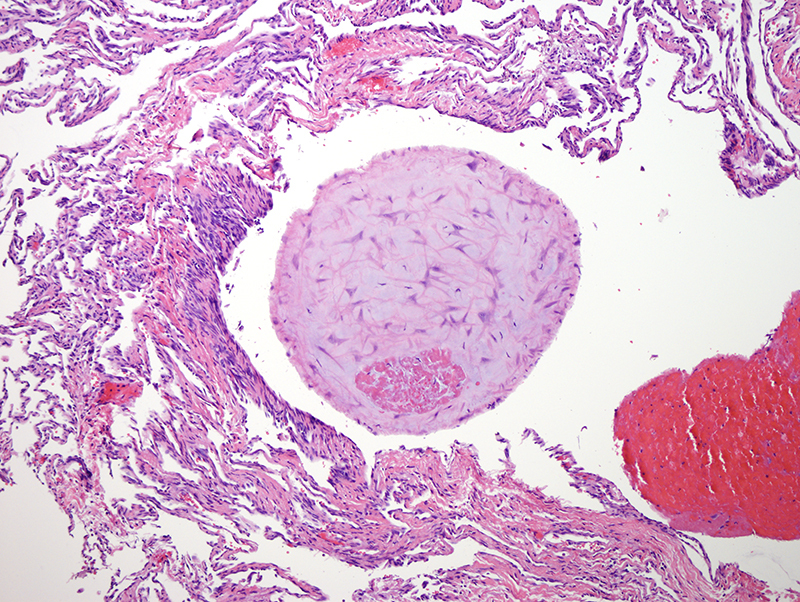 The endothelial cell lining is cuboidal or hobnailed in appearance. 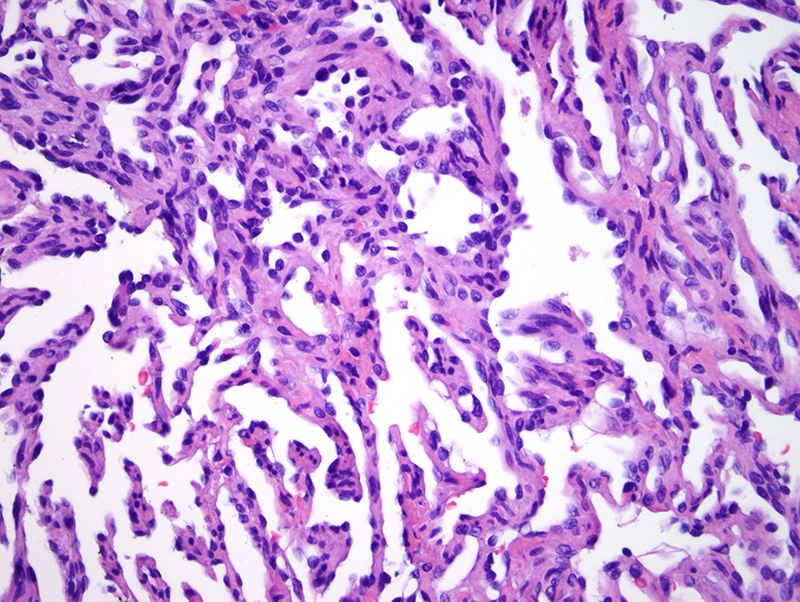 These tumors are regarded as low grade malignancies; however, lymph node involvement has been reported.